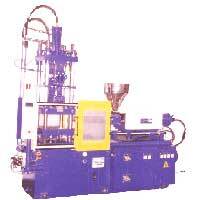 We bring forth precisely engineered Plastic Insert Moulding Machine to the valued clients. The Plastic Insert Moulding Machine which we offer is easy to operate and requires low maintenance. The Plastic Insert Moulding Machine, offered by us, is made from advanced machines and modern techniques. Acknowledged for possessing sturdy construction, resistance to corrosion, high performance, and durability, the Plastic Insert Moulding Machine is widely demanded by the clients. Our company is amidst leading Plastic Insert Moulding Machine Manufacturers and Suppliers in India. Why Our Plastic Insert Moulding Machine?